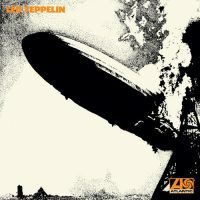 January 12th 1969, Atlantic Records released the very first Led Zeppelin Album. After Jimmy Page had joined the Yardbirds the band reached a point where they decided to call it quits. Jimmy wanted to continue the legacy as “The New Yardbirds.” According to legend, John Entwistle and Keith Moon of the Who made a remark that “The New Yardbirds” would go over like a lead balloon. There’s actually been much discussion over this, proving or dis proving this story, even one story that John Entwistle was going to name his band that and he actually created the first album’s cover.